Welcome to 2018 – Little update and Happy New Year!! A new year has officially arrived! I am so excited for a fresh, new slate with so much to be seen as God unfolds His faithfulness and perfect plan for the year. God is so good, which should never be mistaken to think that 2018 will be full of idealistic good times and happiness, but it does mean that God has a perfect plan for us, to refine His people, and to one day return to judge the world and rule us perfectly in glory, wiping away the stain of sin and tears for those who have followed Him in this life. I love blogging at Smile and Craft AG, and I hope you love reading and are encouraged by it. Last semester I had some trouble keeping up on posting, and this year will probably be even busier for me, as I plan to get a job on top of school. So anyways, Happy New Year!! What are you looking forward to for 2018? What would you like to see on Smile and Craft AG this year? One of my summer goals is to re-design my blog. I feel like the design isn’t quite… up to date, perhaps? It’s basically like my current one, but it’s fun to put it in a palette. What do you think? So you may see some changes around here for a while, and I would love to hear your feedback and ideas! What are your thoughts on Smile and Craft AG being redesigned? What do you like and/or dislike about my current design? Do you have any suggestions for the new design? Hmm, maybe I’ll even make a new sign-off! P.S. 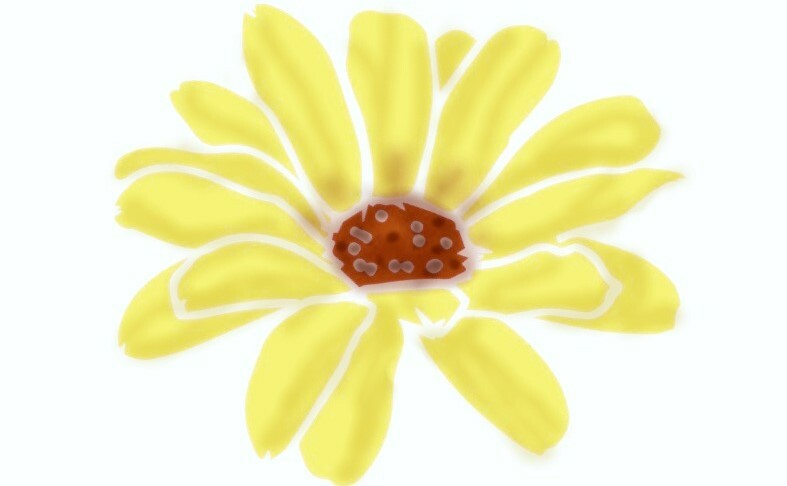 Anyone know where I can find a cute yellow watercolor (or something like that) daisy graphic for free? Thank you Kiki for nominating me for this Award! I’m excited to do it! Give some advice for bloggers. Tell those 15 bloggers via comment! I began to use her site, and I started looking for doll crafts elsewhere as well. I believe the two main blogs I found that inspired me in my road to my own blog were American Girl Fan and Fun with AG Fan. At first I looked at their blogs for the crafts, but eventually started reading and enjoying other posts. Somewhere along the road, I decided I wanted to start my own blog! I waited for perhaps six months (I think I wanted to wait until summer), and then started Smile and Craft AG (by then I had all four dolls)! I’m very grateful for the great examples I had to start me off on blogging, and it’s been so fun finding, reading, and following other amazing doll blogs, as well as growing my own! I highly recommend replying to people who comment on your blog. It feels more special and personal to have a reply to your comment. I, personally, appreciate seeing my comments replied to on other blogs. Something about it makes a blog seem so much better. Of course, maybe your blog is super big and you get a bunch of comments and have no time to reply, and that is ok (maybe just reply to readers’ questions), but if you are able to, replies are wonderful! I hope you liked reading this award! Thanks again to Kiki for nominating me! I thought I’d talk about a few accomplishments from the past year (Mainly blog related), as well as goals for the new year! I started this blog (June)! I went to the AG store in Colorado! Twice Clara showed up on this blog to show you her gymnastic skills, and it was a lot of fun! She’s done her floor and bar skills, and hopefully will come again soon to show her beam skills, too! You guys seemed to really like this one. I got quite a few comments about Caroline’s lovely hair. Menu Monday didn’t last too long, but I got to show you how to make some fun foods while it lasted! And who knows, maybe I’ll start it up again someday! What are some of your goals and accomplishments?